On 01/16/2019 at approximately 6:45 PM, members of the Troop-D Quality of Life Task Force, the Putnam Police Department, and Officers assigned to the Danielson Probation Office executed a narcotics related search and seizure warrant located in of Putnam. The search warrant was obtained after a lengthy investigation revealed that the residence was being utilized to sell fentanyl, heroin, and crack cocaine. While executing the search warrant approximately 183.4 grams of fentanyl/ heroin; 58.5 grams of crack cocaine packaged for sale and $5,318 dollars in US Currency was seized. As a result of the investigation 30 year old Melisa was taken into custody for Possession of Narcotics, Possession of Narcotics WITS, Operating, and Failure to Keep Narcotics in the Original Container. 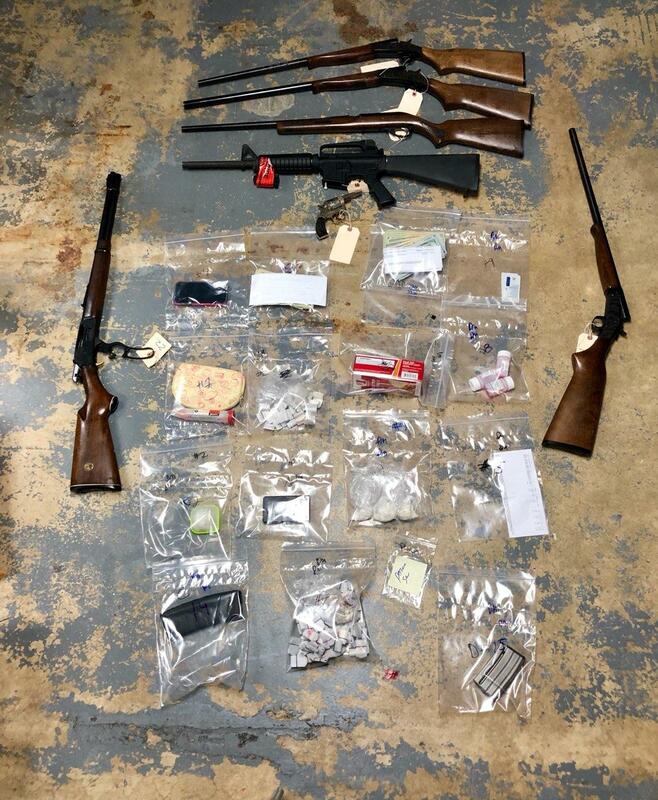 During the search Task Force Personnel conducted a systematic search of the attic which located seven firearms to include two rifles, three shotguns, one revolver, one Bushmaster AR 15 rifle with laser sight, high capacity magazines and ammunition. 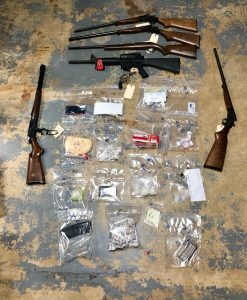 A separate investigation was then conducted which found that a fellow tenant, 33 year old Daniel Carroll, who was presently incarcerated at Corrigan CI, concealed numerous firearms in the attic prior to his arrest. As a result of the investigation an arrest warrant was submitted and granted by for Daniel Carroll. As a result Daniel Carroll was taken into custody on 03/15/19 when he appeared in court for another matter. Daniel Carroll was arrested and charged with 3 counts Criminal Possession of a Firearm and was held on a $75,000 dollar cash/surety bond.